First they mocked him, then they fought him, and now he has won. 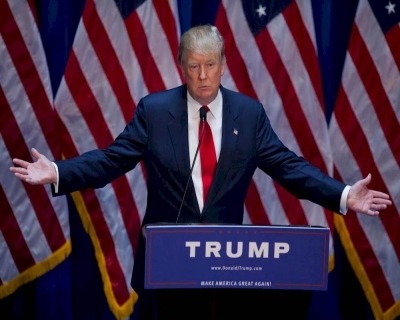 After a nail-biting counting and a nerve-wrecking battle for the swing states, it is now certain that Donald J Trump will lead America as its President for the next four years. Today, Americans have given Trump, a wild card entry, a chance to “Make America Great Again.” To say it is unbelievable is to say too less. What was the cliff-hanger like? Clinton then took Washington and its 12 electors. It was 216 to Trump and 209 to Clinton. The media channels were predicting Trump would win because of the trends in the other states. Tump then carried Georgia and its 16 electors. It was 232 Trump to 209 Clinton. 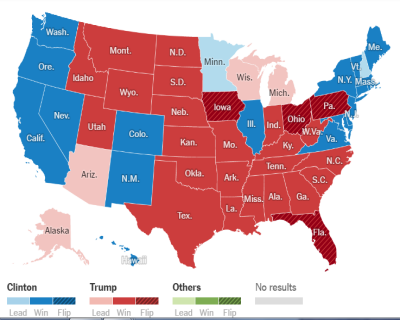 Trump was leading in other key states. There were reports of Clinton supporters leaving the venue where they had assembled. Many were crying. They could not believe that the United States may not elect its first female President. 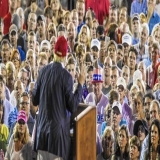 In the Trump campaign head-quarter, there was restlessness. They were winning, but they wanted to reach the magic number of 270 faster than it seemed to be coming. Trump won Iowa. It was 238-209. News emerged that he had snatched the lead away from Clinton in Pennsylvania. The end seemed to be coming for her. Then came some hope for Clinton. She was leading in New Hampshire, but the lead was by 18 votes. Could she hope for a stroke of good luck Luck has historically favoured Donald Trump, not just in the elections but also in his life and business. Could he run out of luck in the final lap May be not. In the next few minutes, he was leading New Hampshire by 15 votes. Even a win by a single vote matters as much as a win by a million votes in US elections. Clinton won Nevada to carry its 6 electors. Trump 238. Clinton 215. It was not over yet. Trump was leading in Wisconsin, Michigan, Pennsylvania and Arizona and he had expanded his New Hampshire lead to 800 votes. Clinton was leading in Minnesota. Trump won Utah to make it 244-215. 26 more to go to make it 270. He had an impressive lead in Michigan which could provide 16 electoral votes in one go. He was leading in Pennsylvania, with 20 electoral votes, by 50,000. Hillary Clinton would have to reverse these two leads if she had to survive. 6 states that President Obama carried in 2012 were flipping over to the Republicans in 2016. At 7:00 AM GMT, the campaign manager of the Clinton Campaign came to speak to the supporters. Though he said “it was not over” and ‘every vote counts till every vote is counted”, he advised the supporters to go home and get some sleep. The lack of enthusiasm indicated that they are close to conceding defeat. Clinton would not speak tonight, he added. News networks were then shut off in the campaign quarters of Clinton. The crowds were heard singing and crying to ‘Don’t stop believing’. Clinton will have a tough job the next morning, arguably the toughest of all tough tasks she has undertaken in her life. She will have to congratulate Trump and ask her supporters to unite behind the new President. For too long, the question was whether Trump would be dignified in defeat. Now, the question is, whether Clinton would do what she expected Trump to do. At 7:20 GMT, it was clear - Donald Trump had reached the 270 mark to be the next President of the United States of America. Trump was heading towards his headquarters for the acceptance speech. Final result: There will be some more counting, and even some recounting, of votes. But the outcome is sealed now. It is Trump. Why is Trump’s victory ‘surprising’? Unlike the mainstream media, the American people did not judge this man by his odd infrequent remarks. Just like they did not think someone deserves to be President just because she is a female. Trump represented ‘change’ (much like Obama represented change in 2008, though he would hate this comparison) while Clinton represented ‘continuity’. Voters typically like the message of change. You have to give it to Trump to stand tall and walk forward even when they all were predicting his fall and mocking his talk. The secret of his win is in his power to think positively at all times under all circumstances. Trump mentions in his book The Art of The Deal (surely it will see more copies sold in the coming days) that he was “a firm believer in the power of being positive.” “What helped is I refused to give in to the negative circumstances and never lost faith in myself. I didn’t believe I was finished even when the newspapers were saying so.” He ran a tight campaign even as his own party members were denouncing and shaming him. He had always wanted to be President. There are video clippings of TV shows from 40 years ago where he confesses his desire to be President. In fact, in one such interview (in 1980) he says, “If I stand (for election), I will win. They will not like what I will say. But I will win. I will only contest if I know I am going to win”. Morale of the story: Believe in miracles people. They happen when you can keep your head high against mighty odds and work relentlessly towards the goal of your life. When did Trump have the last laugh? Because he is smart enough to understand that victory speeches need to be inclusive, just like he understood successful Presidential campaigns of rank outsiders have to be divisive. By the way, even ‘the Donald’ had two speeches ready. One for victory, the other for defeat (the concession speech). He would not need the latter. It is difficult to not feel bad for Hillary Clinton, who dedicated her life to politics and the last decade to become the first female President of America. She ran a good campaign; in spite of certain health issues, she campaigned till the end. Unfortunately, there has to be just one winner and the winner takes it all. Where did Trump’s votes come from? Every time a new form of media comes along, someone emerges in America to exploit it to become President. FD Roosevelt brilliantly used the radio, JF Kennedy’s victory was attributed to the Television, Obama surged in popularity through the internet, and now Donald J Trump would go down as the politician who knew how to use social media and reality TV shows. 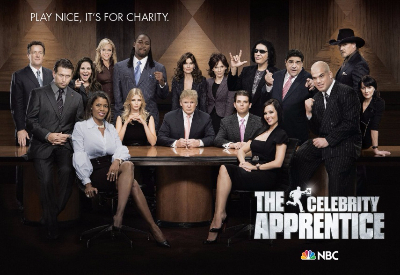 The Apprentice is an American game show that judges the business skills of a group of contestants. It has run across fourteen seasons since January 2004 on NBC. 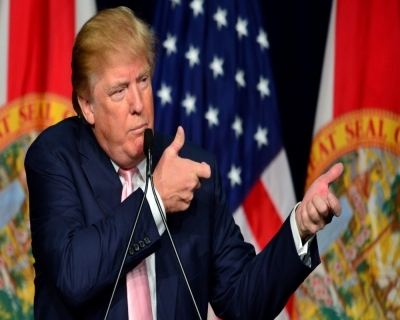 Donald Trump is one of its producers and he served as the show's host for the first fourteen seasons (the 15th will be hosted by Arnold Schwarzenegger who unfortunately for him can never run for President since he is not an American citizen by birth). Trump quit the show to run for President. And he ran his Presidential campaign like a reality TV show. In all our favourite reality shows, we vote for the candidate who remains resilient in the face of mighty odds. Trump first created those odds, and then he displayed resilience like no one did in this election. 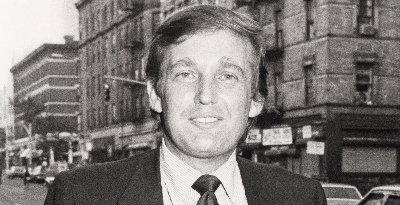 Who was Donald Trump before he was elected President? Trump has been married three times, though his most famous wife was his first - Ivana Zelnickova, a Czech athlete and model who also helped him take rapid strides in business. The couple had three children before they filed for divorce in 1990. The ensuing court battle made for numerous stories in the tabloid press. Trump became front page press material during these court proceedings, and he seemed to like it (though he was alleged to have harassed Ivana). He married actress Marla Maples in 1993. They had a daughter together before divorcing in 1999. He married his current wife and the next First Lady of the United States Melania Knauss, a model, in 2005, and the couple has one son, Barron William Trump. 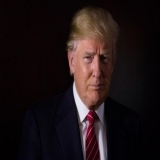 Trump expressed interest in running for president as early as 1980s, and even entered the 2000 race as a Reform Party candidate - a decision which made him understand that if he were to be President, he had to be with one of the two leading parties. After 2008, he became one of the most outspoken members of the "birther" movement, which questioned whether Barack Obama was born in the US. Those claims have been thoroughly debunked; Mr Obama was born in Hawaii. 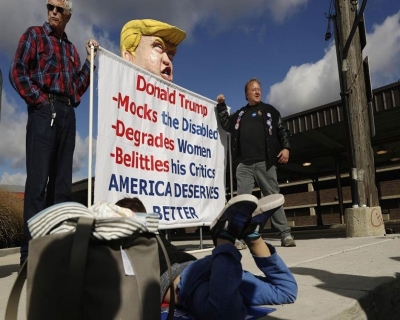 The birther movement was the birth of Donald Trump’s real tryst with politics. But it was not until June 2015 that Trump formally announced his entrance into the race. And then he kept the world busy till he became President. It took him only 18 months to achieve what others take a lifetime to even fail at. 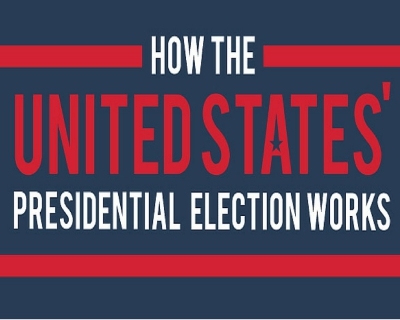 How does the US election system work? There are 538 electors and to win a majority and become president either candidate needed to get 270 electors – half the total plus one. Americans technically vote for electors, not the candidates themselves. The electors are state officials or senior party figures, but they are not usually named on the ballot. The number of electors each state gets is also equal to the number of seats it has in the House of Representatives and the Senate. All but two states – Maine and Nebraska – use a winner-takes-all system - the one who takes the most votes in a state (even if the margin is that of a single vote) takes its entire haul of electoral college votes. The electors meet in their state capitals on the Monday after the second Wednesday in December and - almost always - cast their ballots according to their state's popular vote result. The results are certified and sent to Washington. The new president is inaugurated in January. Donald Trump has a lot of time to write the speech on his inauguration as the next President of the United States. This world will be a more interesting place for at least four more years. Trump Presidency has happened. The one who loves putting his surname on the buildings he creates has stamped his authority on the entire country. America is now Trump Country. God bless America.